Applications are under siege, and successful application attacks are the source of the biggest data loss. While there isn't an "easy" button for cyber security, there are some proven initiatives security professionals can take to ensure employees can seamlessly access the right applications - while keeping corporate data secure. 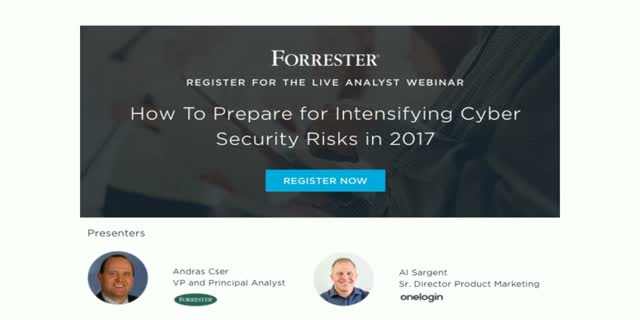 Join guest speaker, Andras Cser from Forrester and OneLogin as we discuss key predictions for 2017, and outline how you can automate secure access to your applications, laptops, and mobile devices in a rapidly evolving landscape. Don't miss the experience, without compromising security.